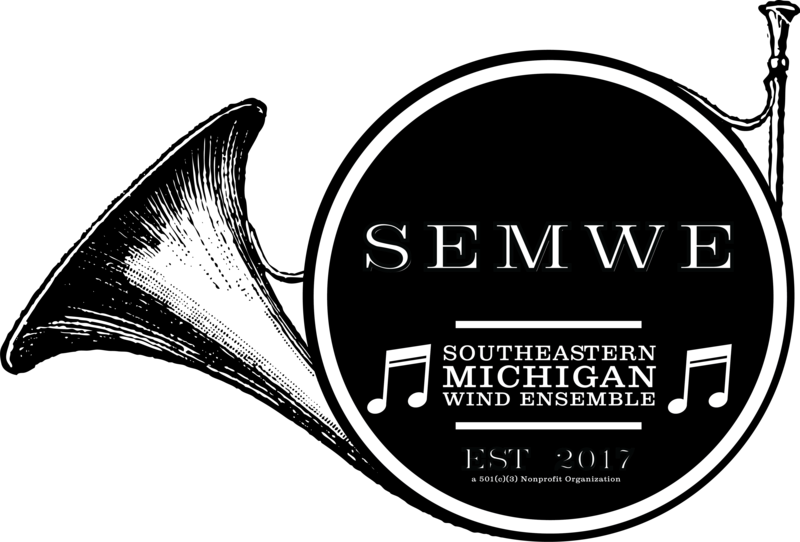 The mission of the Southeastern Michigan Wind Ensemble is to provide a performance outlet for music educators and other accomplished musicians, to educate and share music with the local community, and to promote wind and percussion literature as a form of communication and cultural enrichment. A native of New York State, Cliff Chapman received the Performer’s Certificate in Percussion, Bachelor of Music in Music Education, and Master of Music in Conducting from the State University of New York at Fredonia and has done additional graduate study at Michigan State University. Prior to his tenure with the Clarkston Community Schools, Mr. Chapman served as Graduate Teaching Assistant with the SUNY Fredonia School of Music and was a member of the Department of Music Faculty at Eastern Michigan University. During his 27 years with the Clarkston Community Schools he served as the CHS Instrumental Music Director, Music and Art Department Chair, K-12 Fine and Performing Arts Coordinator, and Associate Band Director at both Clarkston and Sashabaw Middle Schools. 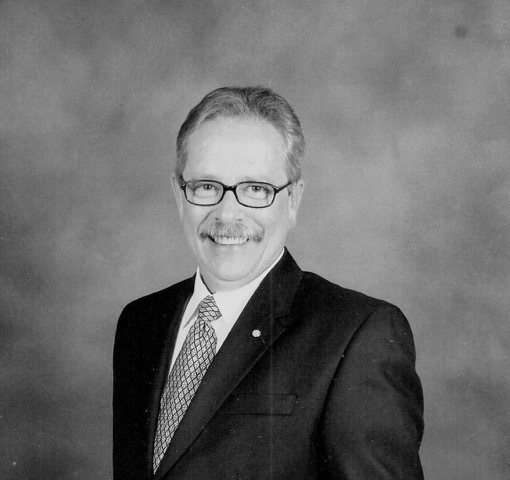 As an active member of professional organizations at the local, state, and national levels, he has served as State Chair of the National Band Association, State Chair of the American School Band Directors Association, and is a Past President of the Michigan Competing Band Association and Past State President of the Michigan School Band and Orchestra Association. A member of the National Association of Music Education and Phi Mu Alpha Sinfonia, Mr. Chapman is also an honorary member of the Kappa Kappa Psi National Band Fraternity. Past honors include Outstanding Clarkston Educator, WDIV – Newsweek Outstanding Teacher Finalist, Clarkston Board of Education Recognition, Michigan Teacher of the Year Finalist, Clarkston Foundation for Education Teacher of the Year Finalist, and twice elected District 4 MSBOA Band Teacher of the Year. Since leaving the Clarkston Community Schools Mr. Chapman has actively served as an educational consultant, adjudicator, and clinician – conductor including one semester as visiting Director of Bands at Wayne State University in Detroit. Presently he continues to serve the Department of Music and College of Education at Wayne State as a Field Instructor and Instructional Assistant in Instrumental Music Education. 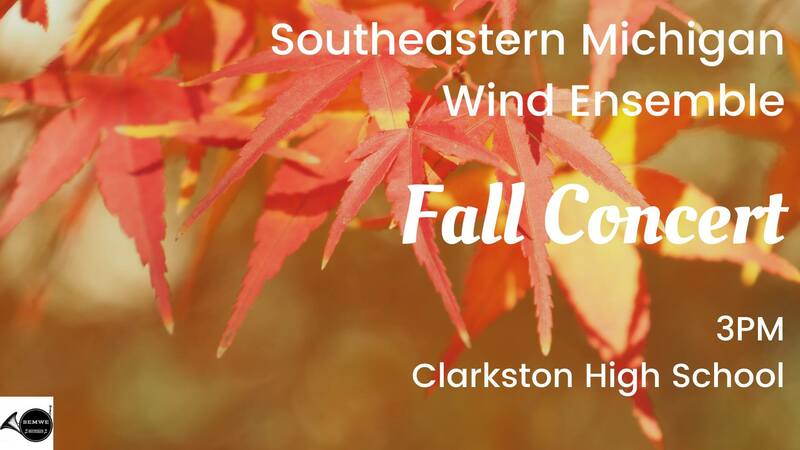 The Southeastern Michigan Wind Ensemble is a registered 501(c)(3) nonprofit organization. Your donations help us offset operational costs and are tax deductible.